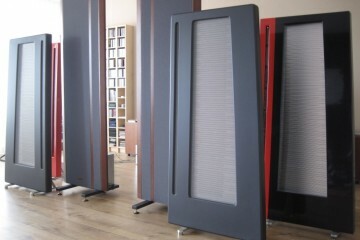 Introduced in 1998 the Cepheus range were the 3rd Apogee hybrid speakers range, and the replacement for the Slant series. 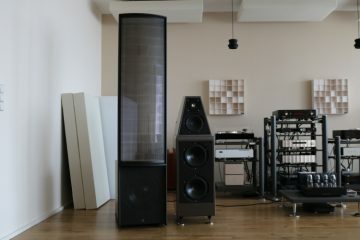 The Cepheus 8 was the larger model with two 8″ cone woofers, and a 40″ 5 element ribbon, effectively the replacement for the Slant 8. According to Prentice Geddie (Apogee Acoustics Users Group) only 4 pairs were ever sold, which makes this a very rare speaker indeed. Precious little info can be found about these speakers and pictures seem impossible to find. The above image is most likelly the larger model, the Cepheus 8. If you have more, or better pictures, please email them to me! Also: I would like to buy a pair of Cepheus 8! Contact me if you have a pair in good condition and are willing to ship to Amsterdam, Netherlands. Did you ever find a pair and buy them? Curious. 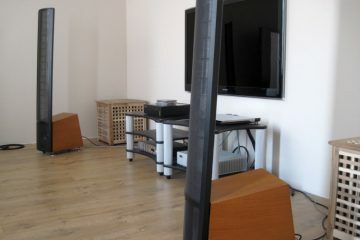 I am the first owner of a pair of Apogee Duetta Signature Series II speakers. I plan to piecemeal have them upgraded ultimately to Duetta Ultimates (True Sounds Works Audio based in Minden, NV although Im sure you are familiar with them) starting with the bass panels. Hi Matt, Alas, I never found a pair and now that I have switched to Wilson W/P 8’s, it’s unlikely that I will ever try them. 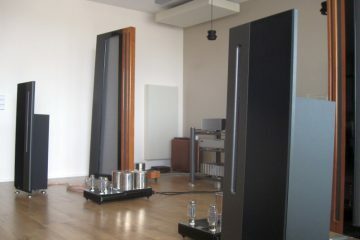 I did find a review in a German magazine and was surprised to read that they rated them considerably lower than Magnepan, Martin Logan and another dipole speaker that I do not recall. Weak points included a lack of definition at the frequency extremes and a lack of air. Especially the latter is usually actually a strong point for most Apogees but I did notice a very clearly capped treble with the Centaur Majors, which is striking since the mid-size Centaurs are actually super-airy. That the Cepheus has a bass-reflex port may not be ideal either. The review did mention that the transition from foil to bass drivers was very well done. All in all, I have a feeling that the Centaur Majors may have been better, with their single large woofer and closed cabinet. Stronger, better matched magnets are certainly worthwile, especially since I found that my Diva were always a bit too polite, although the Duetta seems quite dynamic even with standard magnets. One word of advice regarding upgrading foils: many aspects will improve massively and you may even find them better on all aspects, but for various reasons the speakers’ character will change. Well-run-in foils tend to sound very relaxed and fluid (which you may or may not like) and new foils usually sound a lot more dynamic and forward, but also more accurate, and as a consequence, drier. If you get only the bass foils done then that will have clear benefits while you retain the soft treble character but you may find that the MRTW can’t match the newfound directness and dynamics of the new bass foils. I’m sure that True Sound Works will tell you the same, advising to do the entire upgrade for the best synergy. Thanks for the advice Christian. I was leaning that way as well on the ribbon portion of the Duetta. Since I have the best iteration they made I am hesitant to mess too much with the speaker all at once. True Sound Works will of course tell me there is no comparison (as Rich, if I have his name right, has already). 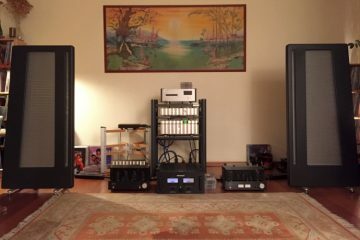 I found basically once real world review from an owner of the Duetta Ultimates and they love them, but it is a big leap. If it weren’t for UPS damage in the left channel bass unit due to it being dropped (buzz developed quickly after I set them up at particular low frequencies I can hear when I get close to the speaker) I would leave them as-is at this point. Im diving them with BAT VK-600 with BAT pack and VK-5i tube preamp and couldn’t be happier with the sound signature. My dad drove them with a VK-500 with BAT pack and VK-3i. It sounded great, but I think it sounds even better now with Silnote XLR to XLR between amp and preamp and XLR to “native” RCA to my BlueSound Node2 streamer (Tidal lossless and MQSA). I kept the original Symo speaker cables (ribbon option of the two) that Jason Blume told my dad were the ultimate cables for them. Im very happy with them. 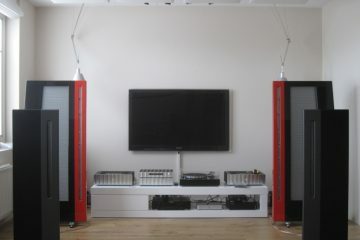 I have my system posted on Audiogon with my name in the room title (Matt Parker). It’s funny, at one point Jason Blume wanted my dad to come work for him to help market their equipment. Not too long after that they went out of business. My dad thought him to be pretty “prickly” and didn’t like how he was so hung-ho on home theater audio at that point. He was trying to get him to get rid of his Duettas and go the latest and “greatest”. Too bad they went out of business. People today look at these speakers and listen to them and think they are state of the art. I continue to love their sound and think they are still forward thinking in aesthetics (Blade Runner forward thinking). The Divas were always known to need a very large space and put out bass that was even better than the Duettas. I have heard people say that the Duettas Ultimates surpass them with the upgraded magnets. You have any opinion on this? Yesterday, I also reached out to Music Technologies’ Bill Thalmann to see how they would tackle remediating the left channel UPS drop damage (panel no longer flush in shell w/ the buzz mentioned). Cheers! Please note that even a pristine pair can have some buzz if you put your ears next to the speaker. There can be a mild “frrrr” sound trailing the notes when playing music with deep bass stabs and no other sounds to mask it or actively damp the foils but a good pair should not have any buzz audible from the listening position. If you only hear buzz under such circumstances then you may opt to leave it. 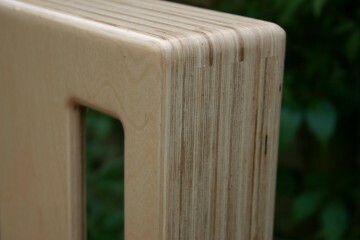 That is, unless you are talking about the rattle that can develop when listening to Apogees with degraded foam edges. Funny thing that your dad was almost an Apogee employee! Indeed it is too bad they went out of business. I wouldn’t be too hard on Jason, after all he had a company to run during tough times. Naturally he would endorse new products. But you’re right – Duetta Sigs are still state of the art in many respects. Diva bass is more linear and well-behaved and goes deeper but is less ponderous and dynamic and therefore can seem to ge less deep. I’ve heard several Diva setups and I always found them to be a little restrained dynamically compared to any DS in any setup. It makes sense that the Duetta Ultimates with their more powerful magnets would have even more slam and sound even more powerful than the DS and will make stock Divas sound tame, but I don’t think they would be as even-handed. Then again, where it regards emotion in music it is often not about neutrality but rather about involvement. 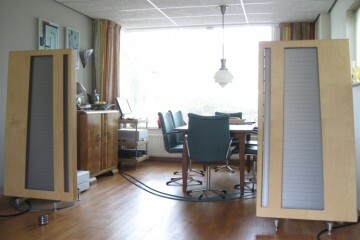 Also, I dont know if you’ve seen this pair of Scintillas for sale on Audiogon. This listing is actually where I found this other Apogee restorer’s info. These are looking good! I’ve always found Scintillas very interesting and have heard them perform very very well at a friend’s place. Better and more refined than the DS, but at the same time not all too dissimilar in character. You can find the review of this pair elsewhere on this site. The 1-ohm version requires very stable amps but the BAT VK-600 may well be up to that task. I appreciate the input on the buzz. Weird thing is we never heard it in the past before UPS “handling”. 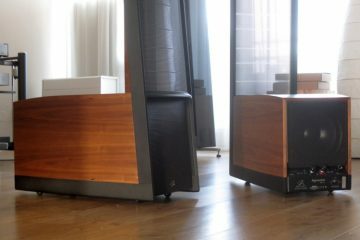 The interesting thing, in terms of cost, is the full price to upgrade these to Duetta Ultimates is around $9k, but if I dont provide the baseline speakers it jumps to their listed $17k. Best to pickup any of the Duetta iterations for around $1,200 and send them in. I’ve found that the Duetta Signature IIs come up for sale very rarely and at an inflated price. I would likely upgrade the pair of have simply because I dont have the space to house two pairs and my girlfriend wouldn’t be into yet another pair of speakers in the house :). Interesting on the Scintillas. 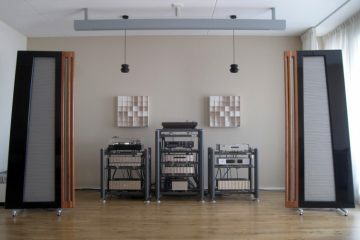 I spoke to Bill Thalmann at Music Technology in detail about the pair of Scintilla’s he completely updated for his customer in MA selling a pair currently on Audiogon. The customer was very happy with his setup where he is utilizing Class D amplification to handle the separated bass speaker components and I think he said maybe even tube for the other frequencies ranges. This fully mitigates the challenges of sound quality with Class D, while taking advantage of the big power efficiency compared to Class A, while also getting a sweet sound and efficiency out of the mids and highs. While this seems like an ideal solution, using class D on bass and class A on the MRTW will very likely introduce a lack of coherence between the two and a feeling of these sections living separate lives with different rise times and decay. 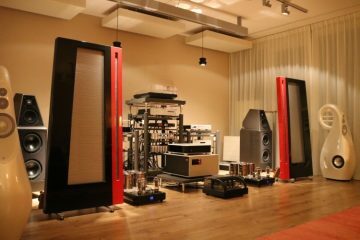 Think about it: even using different cables in a bi-wire setup can already introduce annoying mismatches… Also, maybe surprisingly, the MRTW is actually the section that consumes a lot of energy, on average usually more so than the woofer. I would normally agree. Maybe I misunderstood, but the way Bill explained it to me, these speakers have separate binding posts for the bass section and the mid/high panel and therefore have separate amplification. 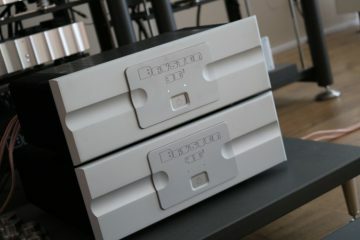 The separate binding posts for bass and mid/treble allow bi-wiring (a single stereo amp with double speaker cables) or bi-amping (two stereo amps with their own separate speaker cables. Still, it is advisable to use the same cables for bass and mid/treble and when bi-amping, two of the same amps, for best coherence between the drivers.